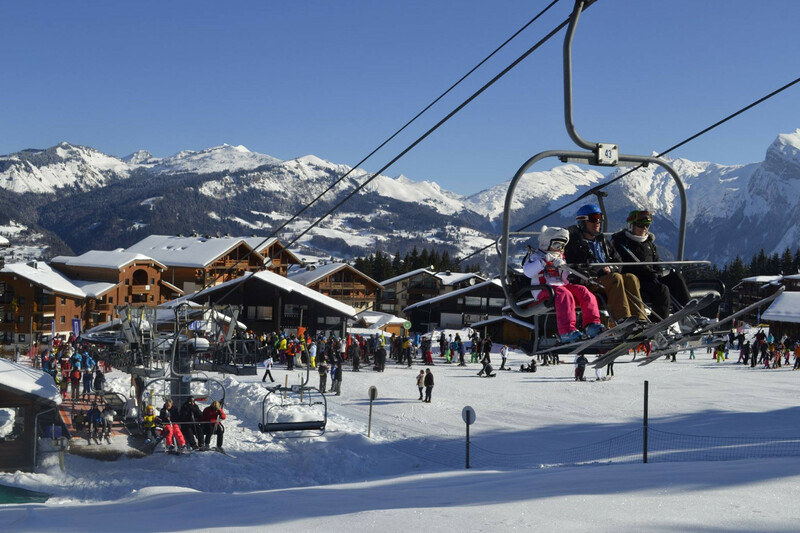 With a rich ski heritage, pristine snow, a rustic Alpine village and acres of interconnected terrain to explore, Morillon is the favoured resort of those who want some quality skiing without the glitz and glamour. And as it’s located just 15 minutes from the nearest motorway junction it’s one of the most easily accessed resorts in the Alps. The resort is nestled in the Giffre Valley in the Haute Savoie region of the Northern French Alps, only 55km from Geneva airport, and although Chamonix is close by the two resorts couldn’t be more different in terms of, well, everything. Chamonix is home to expert terrain and is firmly on the party-map while Morillon offers the best gentle terrain for beginners. You wouldn’t describe the former as cute or simple but the latter is both. Morillon is tiny and often overlooked, but, it’s very sweet, its slopes are crowd free and as it’s part of the Grand Massif ski region with access to 265km of downhill skiing and 351 individual pistes (served by 78 ski lifts) it makes for a really good base. The resort is one of five linked resorts, each with their own unique character, that make up the Grand Massif ski area. There’s Flaine, previously nicknamed Phelgm, which is known for its offensive concrete apartments, Morillon 1100 (also called Les Esserts) - the purpose-built village above Morillon. There’s also Les Carroz, with its gorgeous tree-lined runs, and Sixt-Fer-a-Cheval, very authentic French and exceptionally pretty. It’s worth exploring the Grand Massif region and an all- area ski pass will give you access to ski or snowboard in all of the Grand Massif ski resorts. As for Morillon, it’s pretty and sleepy, and families with young children may just love it. It would be difficult not to, what with an assortment of blues, the terrain is largely suited to beginner and intermediate level skiers, the resort is compact and the village centre is pedestrianised, it’s quite charming and nursery slopes are centrally located. The ski schools are very child friendly and include ESF Morillon which provides skiing, snowboarding, ski-touring and mountaineering, snowshoeing and adaptive skiing classes. There is a children’s village which looks after little ones as teeny as six-months old. Find it underneath the cable-car arrival station. Snowmaking operations have improved in recent years and there are now dozens of snow cannons on the ski run which connects Morillon village and Morillon 1100. This a particularly nice cruiser which is open for longer during the season. One thing that’s really great and of which other resorts should take note are Morillon’s efforts to make skiing accessible to everyone. The Handi TATU Giffre Association was set up in the region with the specific aim of advancing access to ALL in Morillon and in the Grand Massif Area. The association works with Morillon ski school ESF for driving or teaching seat-ski. Something to note: since 2011 skiers with disabilities have been able to access Les Esserts directly by the cable car. In terms of where to stay, we like the rather sweet Hotel Morillon which is ideally located just a stone’s throw from the slopes. A former bakery, the hotel has all the features of a gorgeous rustic Alpine hotel with a touch of chic. The rooms are romantic - all pinewood and hearts – there’s a huge fire where you can enjoy cozy evenings with your family, and a modern spa and pool for the ultimate in relaxtion.